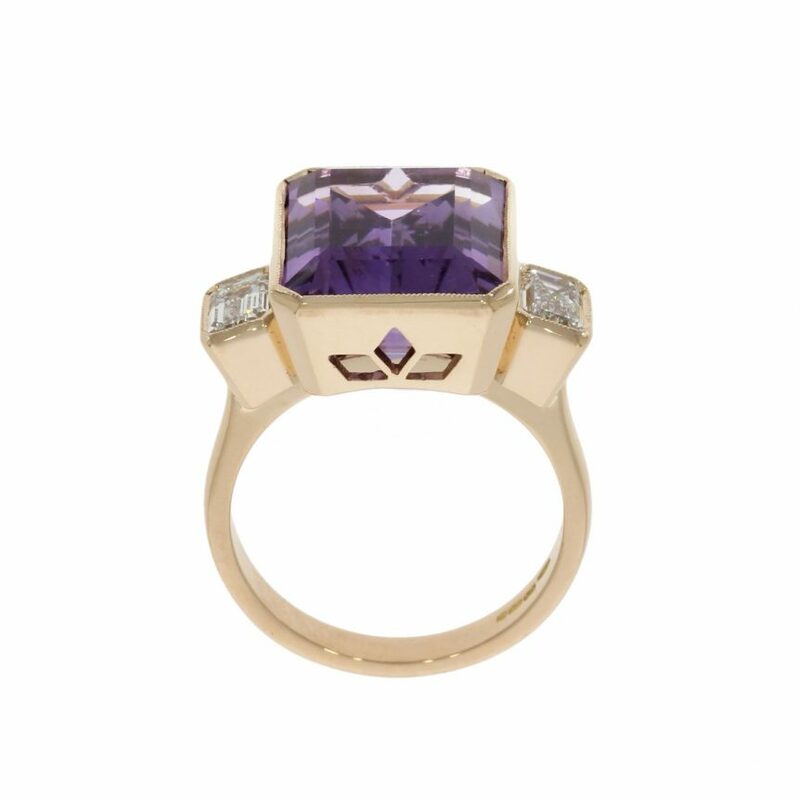 This Gorgeous 18ct rose gold amethyst ring was designed by our talented on site jewellery designer, India. Wedding rings can take many forms, and this is one of them. Ada carefully sourced this gorgeous stone and came to us to have it made. Together with India and they worked out the unique design with the geometric cut out to the collet setting.